Inexpensive remake. Between the release of the Toshiba AT300 and AT300SE there were just a few months. This can also be seen in the comparison of the technical specifications of the two devices; the main specifications are almost identical. 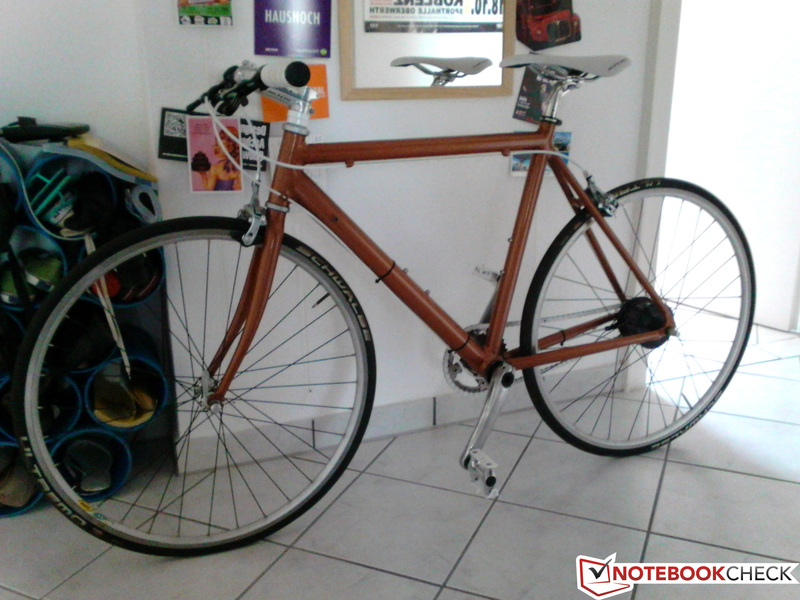 We checked if the 50 Euros (~$65) lower price point of the AT300SE is the deciding factor for a purchase. 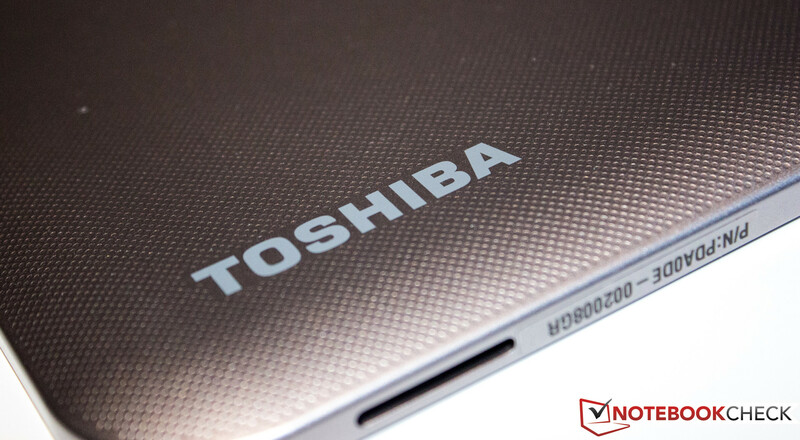 The visual difference, as well as the difference in the designation of the two latest Toshiba devices, is just marginal. That raises the question why the AT300SE is 50 Euros (~$65) cheaper compared to the direct predecessor. The basic specifications are almost identical; both devices are equipped with the Nvidia Tegra 3 chip with a clock of 1,300 MHz and 1 GB memory. Our review unit has 16 GB flash storage. Resolution and display size are also identical. Both have a 10.1-inch display with 1280x800 pixels. The devil is apparently in the details. The main factor for the purchase decision of such a mobile companion is the everyday performance. To determine the performance of the mid-range model more precisely and classify it we check the device thoroughly and compare it to the latest models with similar hardware. 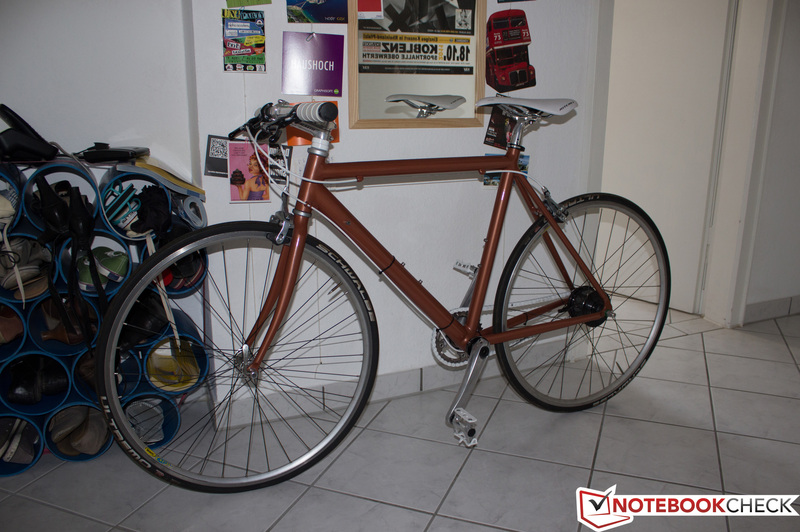 Despite the total weight of 625 grams the chosen materials are very simple. With a first look at the back you could think it was aluminum. This thought quickly disappears after the first contact; it is structured polycarbonate. Because the base cover is made of plastic the AT300SE leaves a very durable impression. This impression is supported over the time of the review; we were not very cautious with the back but could not find a single scratch. A disadvantage of the polycarbonate is the pressure sensitivity. Towards the center of the tablet the plastic can be noticeably pushed in. We observe a similar behavior when we start to twist the device. The case design has cause for criticism at the front. 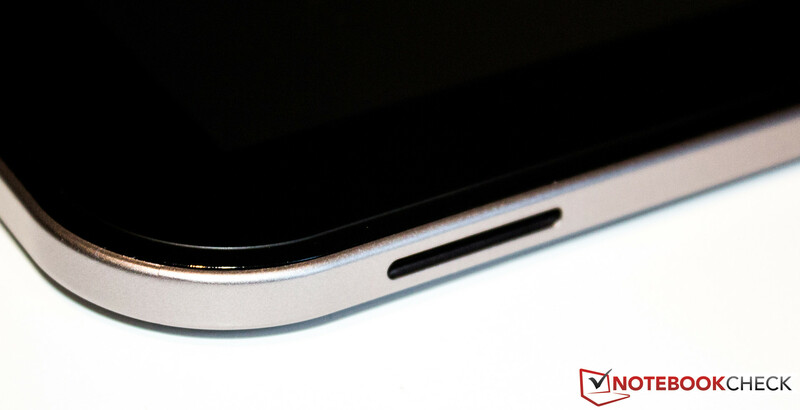 The bezel is flush with the display - less protection for the panel against small scratches. In terms of size we can see a small enlargement compared to the predecessor. With 261 x 180 x 10.5 mm the AT300SE grew in all three dimensions (AT300: 260.6 x 178.9 x 8.95 mm). However, the size difference is hardly noticeable when we put both devices next to each other. A certain standard in terms of connectivity has developed over time. 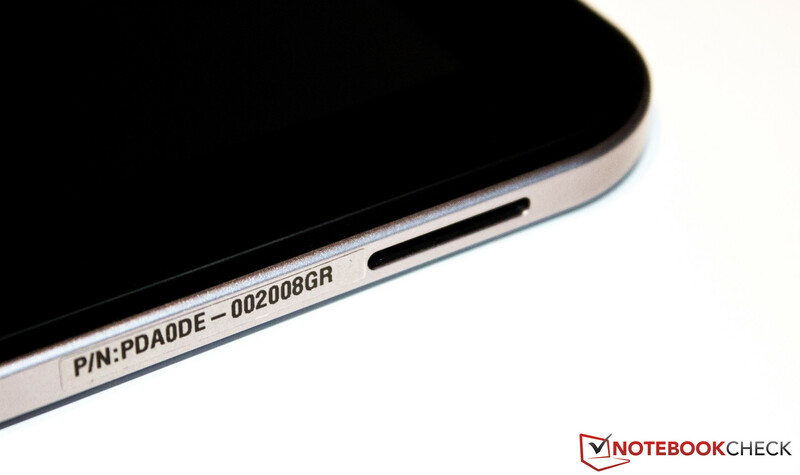 Sometimes a manufacturer waives the micro SD slot because the internal storage is sufficient or another rare feature is integrated, for example a docking port. The AT300SE neither leans in the first nor the second direction. All the ports are on the left side of the case. 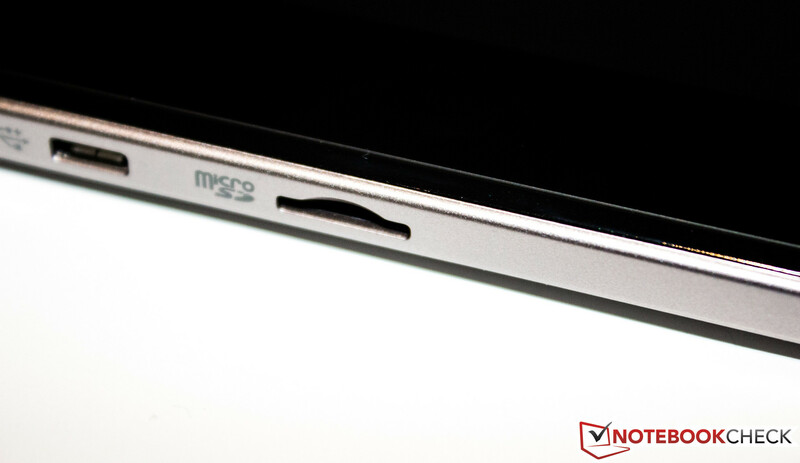 From top to bottom we see a 3.5 mm stereo jack (headset compatible), a micro USB port and the micro SD slot. The USB port can be used for data transfer to a PC as well as charging the AT300SE. Unfortunately many devices, especially tablets, use a proprietary connector. When the tablet is connected to a PC it is immediately available as a removable drive and can be comfortably filled with data. 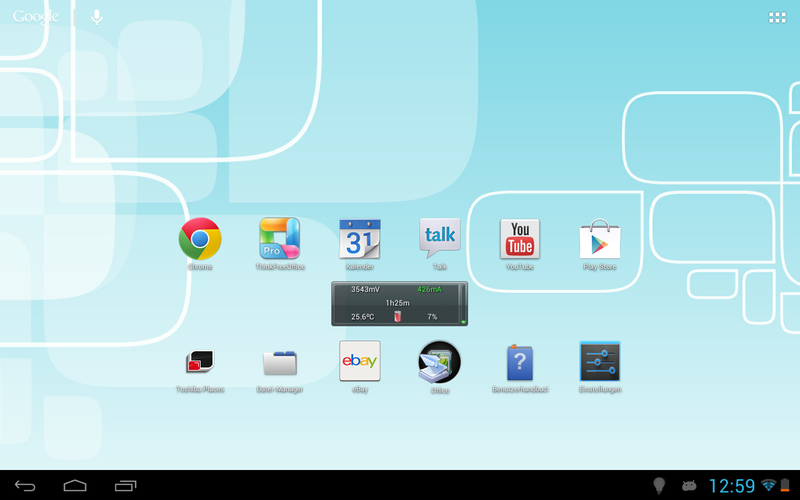 In the opposite situation with the tablet as host device (with the according USB-OTG cable) we determine some problems. A connection with a mouse (manufacturer Logitech) or an external hard drive could not be established right away. 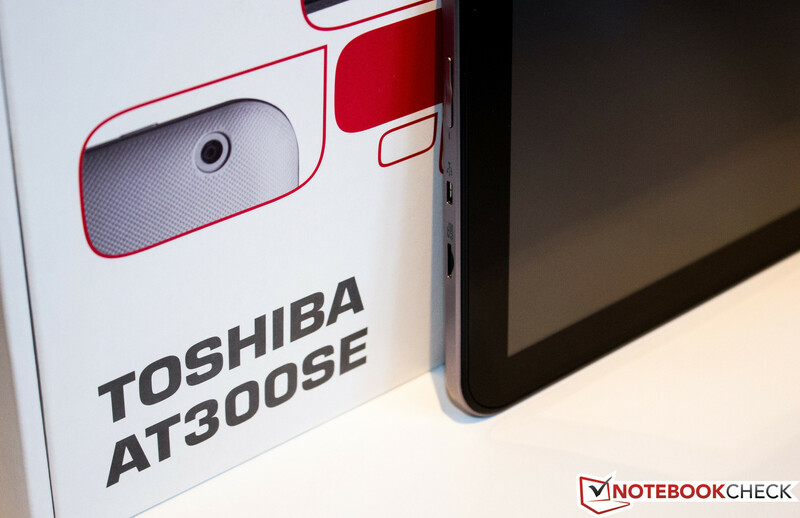 The Toshiba AT300SE is delivered with Android 4.1 (Jelly Bean). The predecessor uses, thanks to a software update, the same operating system. After the first start-up of the device and some browsing in the App-Drawer we quickly find bloatware from Toshiba. For example Service Station or Toshiba Place, which cannot be removed without root access. The situation is different with preinstalled applications like ThinkFreeOffice, TuneWiki or Toshiba eBooks; they can be removed from the AT300SE with a few clicks. The user can activate the energy saving mode in the Display settings. Subjectively the display brightness is slightly reduced and the contrast is weaker. The AT300SE is spared by further software adjustments. The GPS module is able to establish a connection near a window. 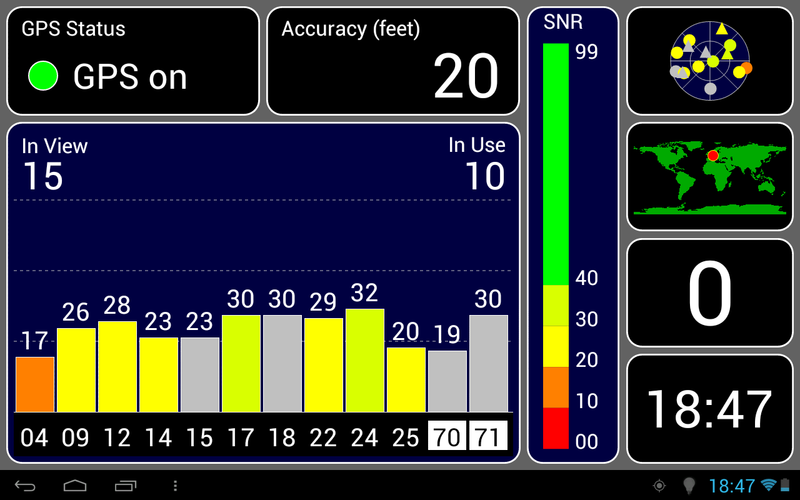 With the help of the app "GPS Test" we determine an accuracy of 20 feet, however, the GPS module also believes we move at a speed of 29 mph - which would be pretty hard on foot, especially indoors. The Bluetooth module in the version 3.0 also establishes a stable connection. Unlike the AT300 the successor only uses a 3 megapixel camera. Even the integrated auto focus cannot compensate for the low resolution. Competitors are way better in this regard, the older Toshiba AT200 had a 5 MP sensor and the Sony Xperia Tablet S even has 8 MP. The quality of videos obviously suffers as well; they are not recorded in HD quality but with a resolution of just 640x480 pixels. The LED flash was also removed. 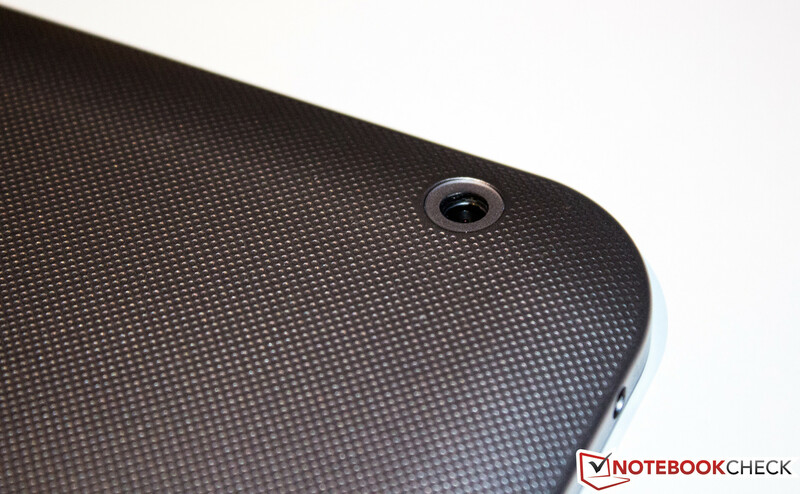 The front-facing camera has 1.2 MP and can be used for video calls. Of course the MP number is often a competition between manufacturers but these values certainly give a first indication. Nevertheless we determine the picture quality via self-made pictures - this counts in the end. Nowadays every manufacturer tries to put their product in a box; which is not much bigger than the device itself. Toshiba decided not to follow this minimalistic trend. Perhaps, at least that was our initial thought, a large box was necessary - a lot of accessories need a lot of space. After the opening of the box we had certainty. Next to the device itself the box only contains several quick start guides and the modular power supply unit. 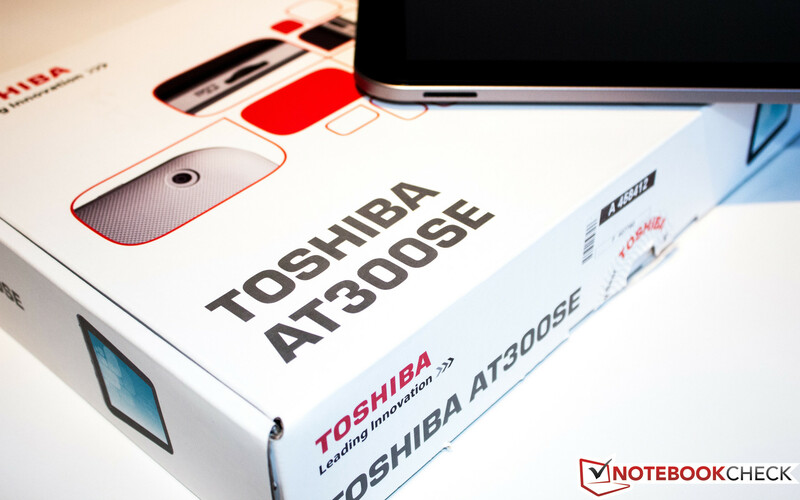 The device has a 24-month international Bring-In warranty for Europe, the Middle East and Africa; this includes an On-Site pick up service in some countries after registration of the repair needed through the Toshiba-Notebook hotline. The AT300SE has three hardware buttons. Two of them control the volume and the other button is responsible for the standby mode and turning the device off. All the other functions are controlled via the capacitive touchscreen. The panel executes inputs precisely and in a reasonable time. The display orientation adjusts after a small delay due to the alignment of the position sensor. The display is a capacitive WXGA-panel with an aspect ratio of 16:10. The LED-IPS screen can manage 10 fingers simultaneously and has a resolution of 1280x800 pixels. Display size and resolution result in a pixel density of 140 ppi. Toshiba specifies in their product description that a display with a high brightness value was integrated. We check this not very meaningful information with the X-Rite i1Pro 2. 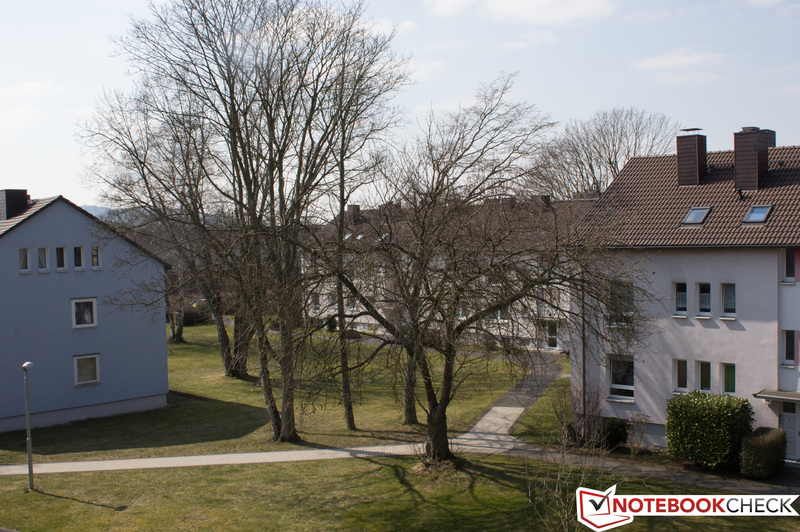 With a measured average brightness of 446.8 cd/m² the manufacturer delivered on its promise. 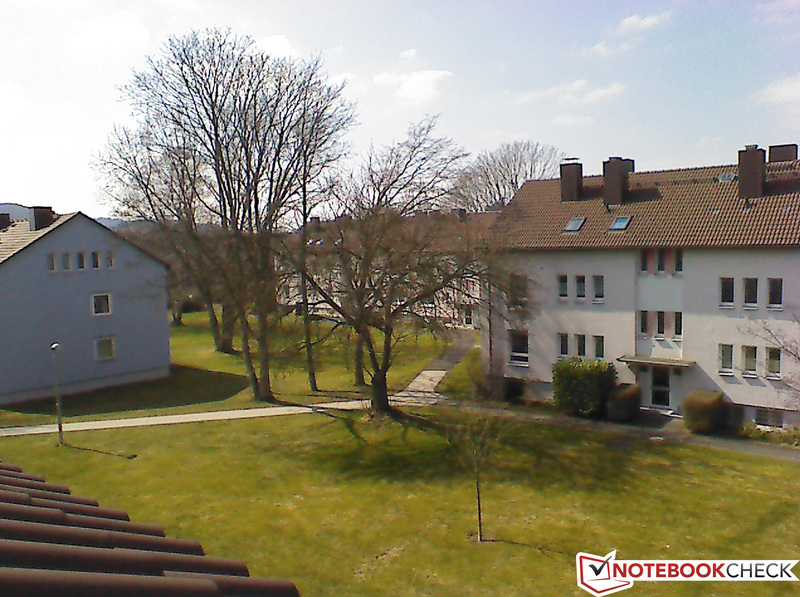 Compared to the iPad 4 we determine an almost 150 cd/m² higher luminance for the AT300SE (on average). 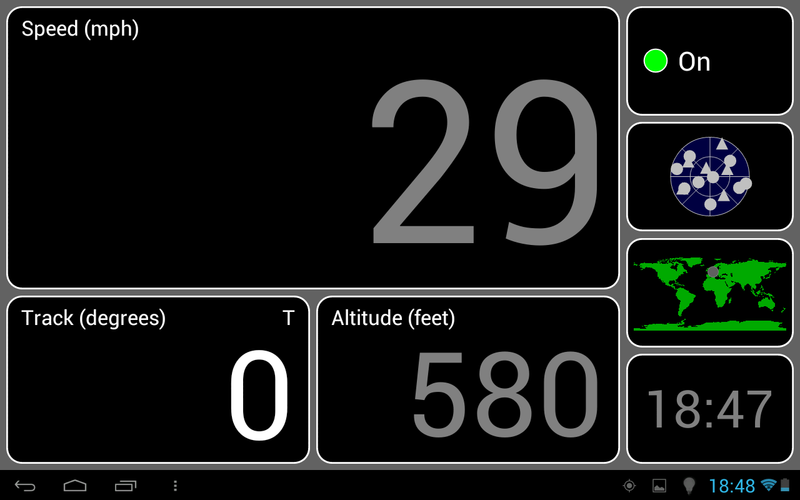 Even the bright display of the Sony Xperia Tablet S (367 cd/m²) cannot keep up with the AT300SE. The tablet does not get a "Very Good" rating in regard to the brightness distribution. 87% is still a stable value but the leader is clearly above 90%. 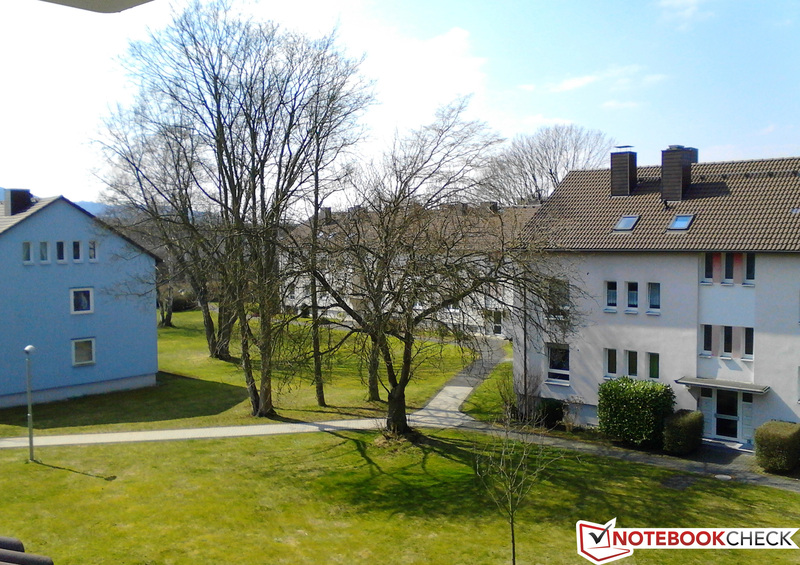 With a black value of 0.4 cd/m² we calculate a contrast of 1,185:1. While the first value is just average, the latter does not have to hide against the competition - thanks to the high luminance. 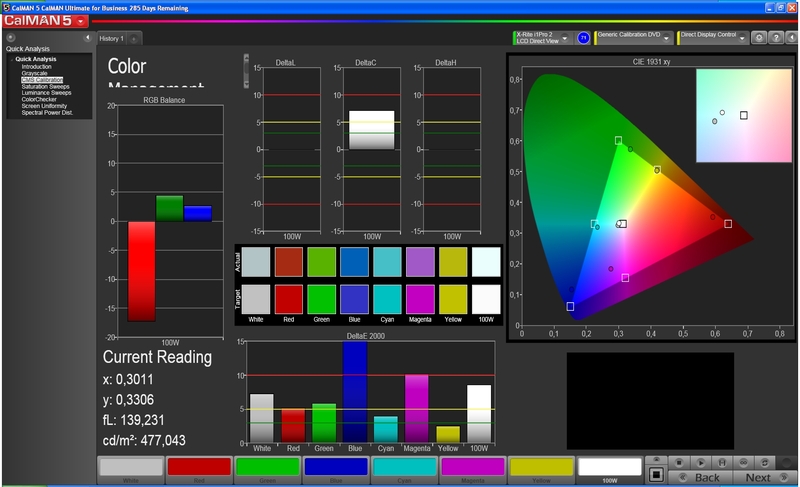 With the software CalMan 5 we checked the color management, saturation and grayscale presentation. 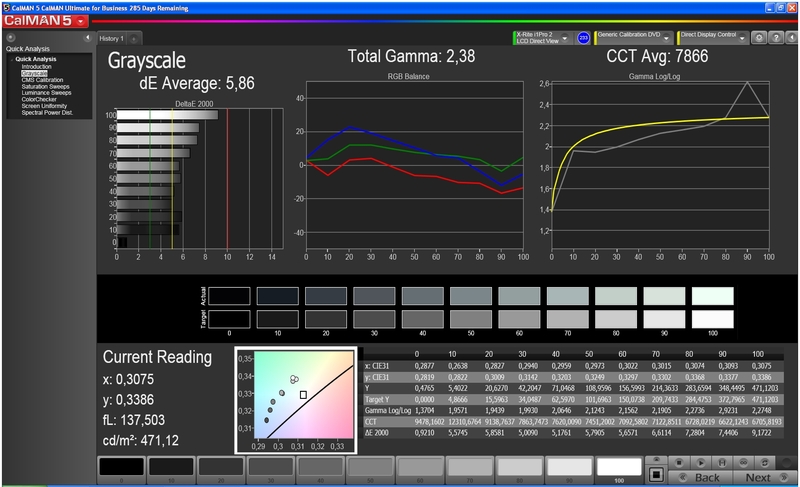 The color management screenshot shows no significant color deviation, only red is a little bit too weak. The grayscale presentation only shows a deviation with increasing bright values. The preconditions could not be better. Thanks to the high average brightness combined with a rich contrast the course is set for outdoor capability. 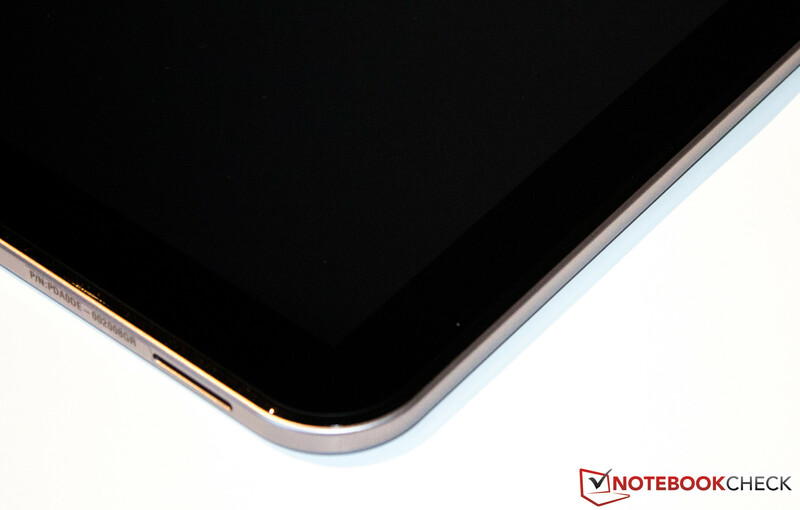 Only the glossy screen has a small negative impact for outdoor use - however, almost every tablet has such a surface. Due to the technology the IPS display has a very good stability when it comes to the viewing angles. 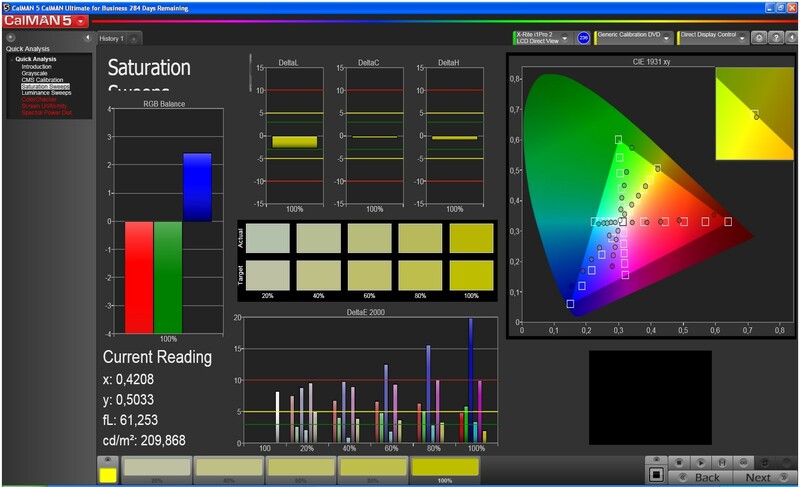 The color accuracy remains stable all the time, even with different viewing angles. The passenger next to you will be happy when he can participate in the multimedia event with no restrictions and full color variety. 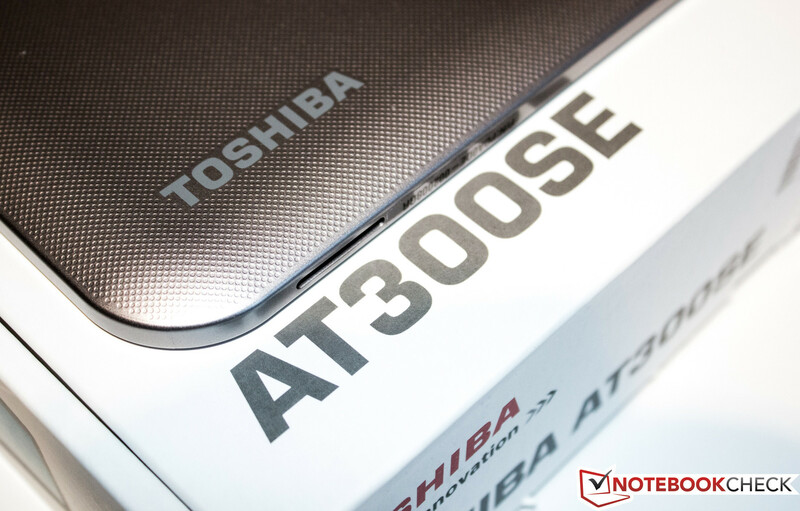 The main hardware specifications of the AT300SE have not changed compared to the AT300. 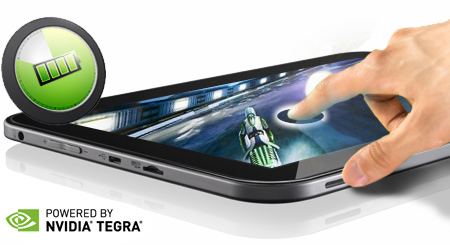 Both use an Nvidia Tegra 3 processor, which was manufactured in a 40 nm process. The 4-plus-1 technology means that an additional fifth companion core is integrated. This energy efficient processor handles less demanding tasks. The memory is a 32-bit single channel 667 MHz DDR3-1333 module with 1,024 MB. Our review unit has an integrated flash storage with a total capacity of 16 GB. After deduction of the system software the user can use 12.78 GB. If this is not sufficient you can extend the storage with micro SD cards of up to 32 GB. Because of the similar main hardware components we suspect big similarities in terms of synthetic benchmark results between the reviewed Nvidia Tegra 3 devices. 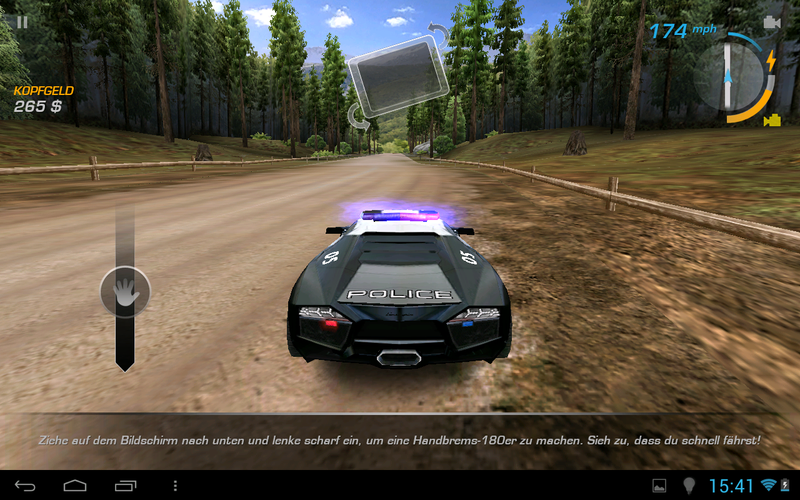 In GLBenchmark 2.5 the results of the two devices and the Xperia Tablet S fluctuate less than 1 fps. Only in the Linpack benchmark the AT300SE can clearly take the lead and beats the competition by up to 67%. The tablet also reaches a good result in Smartbench 2012, with the exception of the Google Nexus 7 no device can keep up with our review unit. With the browser based benchmarks the end results are mixed. In Google V8 Ver.7 the AT300SE can surpass the Surface RT, the Nexus 7 and the Xperia Tablet S. Only the Asus Memo Pad Smart 10 gets a 16% better result. 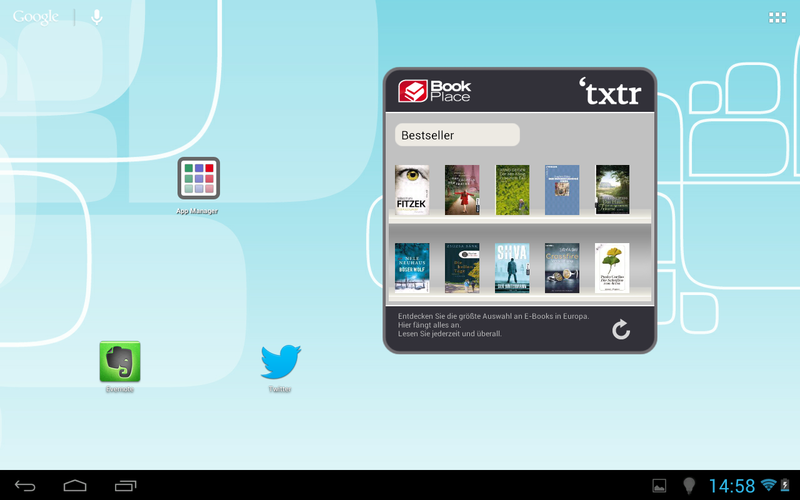 It is the same situation with Sunspider 0.9.1, except for the Surface RT, which gets a better ranking. These kinds of benchmarks always heavily depend on the used browser; in our review we used the standard Android browser, not Google Chrome. AndroBench 3 determines the performance of the integrated flash storage. With sequential and random read accesses the AT300SE takes the lead. In this discipline the Google Nexus 7 falls behind by almost 48%. Read accesses to the flash storage are more common in daily tasks; the performance advantage is significant. The situation changes when we have a look at the sequential write accesses, now the AT300SE is up to 72% slower. Due to the performance of the Nvidia Tegra 3 we are pretty certain that the AT300SE can easily handle video trailers for Transformers 3 and Skyfall in Full HD quality (1080p) prior to the actual test. The video material is in a Matroska container with a data rate of up to 6,100 kbit/s. Our assumption can be confirmed, there are no problems with stuttering or other interferences during playback. The bright display, combined with a good black value and high contrast give ambitious viewers a pleasant viewing experience. When a device can handle HD movie playback, it is very likely that more demanding games are no problem either. 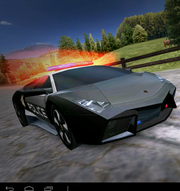 With Need for Speed: Hot Pursuit and GTA III we played two current 3D games on the tablet. Apparently the CPU load was not very high, we could not even determine a warming up of the device. To be on the safe side we also tried 2D games like Angry Birds or Osmos HD but, as expected, these less demanding titles were no problem. 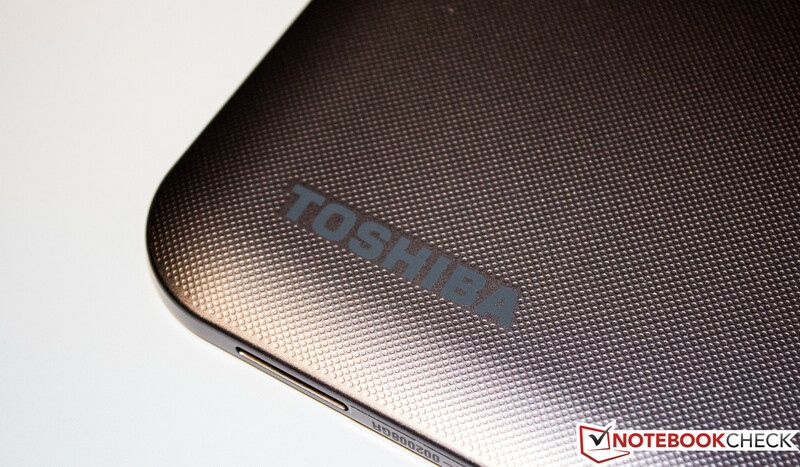 Toshiba made a good job with the heat dissipation and thus the design of the device. 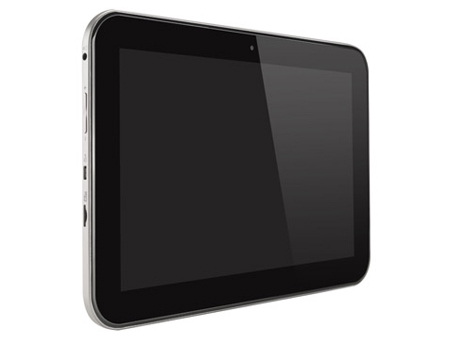 Although it uses the same processor as the Asus Memo Pad Smart 10 or Sony Xperia Tablet S, the temperature of the AT300SE constantly remains below 30 °C (on average) and below the competition - under full load. The fifth core (companion core) is activated when the SoC is not necessary and leads to a lower average temperature of 27.8 °C. Around 1 °C higher than the case of the Memo Pad Smart 10 but also 3 °C cooler compared to the Xperia Tablet S. The warming of the PSU with 37.4 °C or 42.7 °C respectively can be felt but is unproblematic. The first advantage of the AT300SE is that the speakers are not located at the back and thus you cannot determine a reduced sound quality if you put it on a flat surface. In the settings you can select the "Audio Enhancement" option. If you select different modes during music playback you can hear sound differences. The "SRS Volume Enhancement" can stay deactivated, this is better for the sound. Due to the SRS technology the sound of the stereo speakers leaves a positive impression, although high tones are pronounced too much. When the volume enhancement is deactivated you can live with the maximum volume more or less and the sound is clear for the most part. 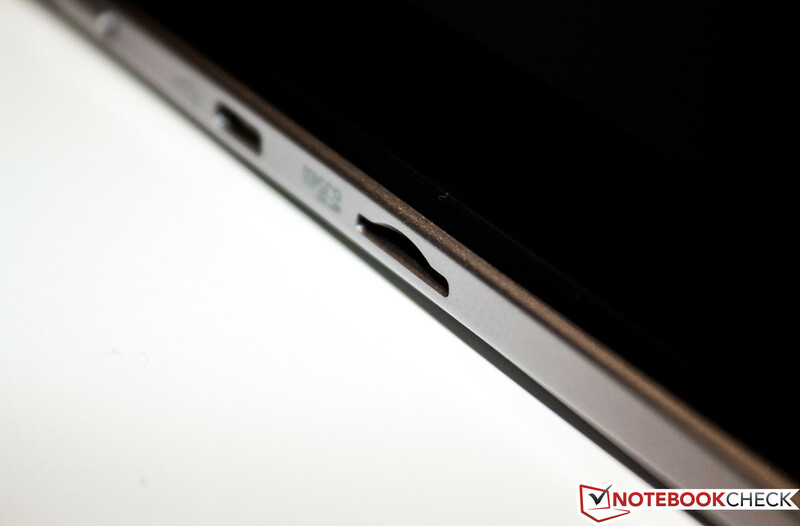 To get the full sound experience you should use the 3.5 mm stereo jack or stream music wirelessly to a playback device. Nothing really changed with the AT300SE in regard to the bass; if your main focus is the low tones the integrated speakers will not make you happy. In terms of power consumption the AT300SE falls behind the Xperia Tablet S and Memo Pad Smart 10. This can be explained with the significantly higher display brightness. During idle the review unit consumes between 1.6 and 5.4 Watts. 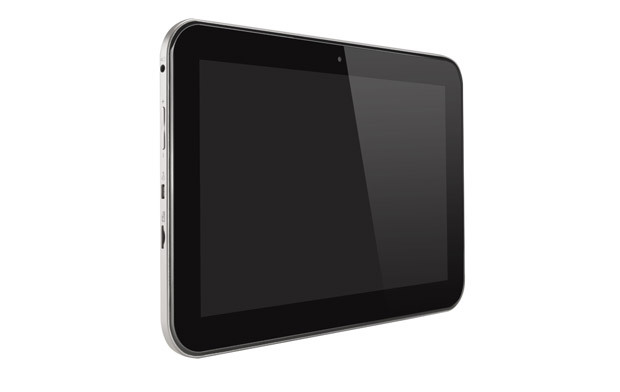 The Tablet S is content with 1.3 up to 4.9 Watts. Cross-platform we also have a look at Windows-RT devices. The Surface RT consumes more power with values between 3 and 6.2 Watts. Under load Microsoft's first tablet also needs more power than our review unit – between 7.6 and 10.6 Watts. The AT300SE is more frugal with a power consumption of 7.1 up to 8.7 Watts. During standby we measure 0.2 Watts; we could not determine any consumption when the device was turned off. Due to the moderate power consumption the AT300SE can reach solid results in our runtime tests. We simulate the maximum SoC load with the application "Stability Test". Furthermore all wireless modules are activated and the display is set to maximum brightness. Only after 4 hours and 32 minutes does the tablet have to be plugged in. Xperia Tablet S as well as Asus Memo Pad Smart 10 have to be recharged after 3:12 hours. A complete charge (device is turned on) takes 4 hours and 19 minutes. The other extreme of our runtime tests is the idle simulation. The display brightness is reduced to a minimum and all wireless modules are deactivated. With 15 hours and 18 minutes the device is very enduring, however, the Sony Xperia Tablet S keeps up 11 minutes longer. The result of our more realistic scenario is 9 hours and 20 minutes. In this scenario web pages are opened in a defined rhythm via script - with a brightness of around 150 cd/m². 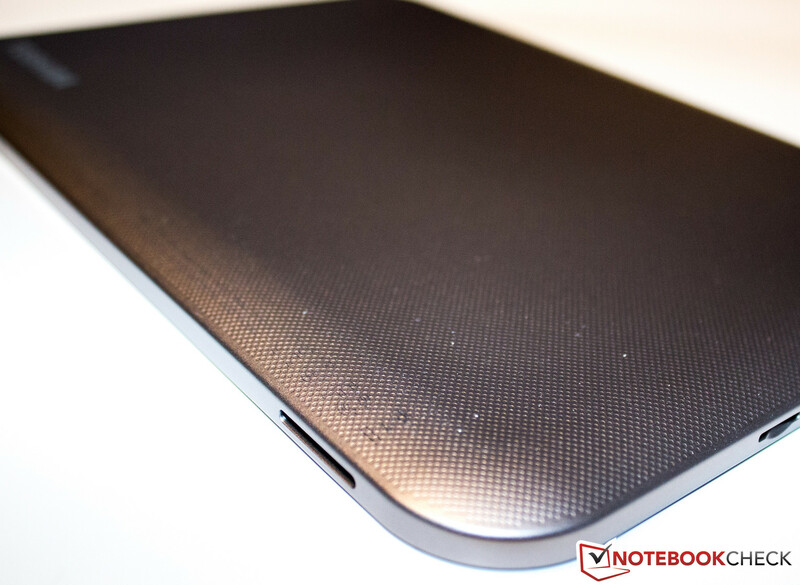 The difference to the Asus Memo Pad Smart 10 is clearly noticeable with 2 hours and 40 minutes. The AT300SE clearly wins this test section. If you already took a closer look at the Toshiba AT300 but were not willing to pay 449 Euros, ~$588 (RRP) then you should consider the successor. The AT300SE, which looks the same, is equipped with almost identical hardware. Differences can be found with the worse main camera, the bigger size and the higher weight. If these details are not important for your purchase decision you will be satisfied with the AT300SE. Thanks to the fast Nvidia Tegra 3 SoC, the bright display and the long battery runtime Toshiba themselves created the biggest competitor. At known internet platforms the price difference is even bigger; the AT300SE is listed for 300 Euros (~$393) but the price for the AT300 is still 380 Euros (~$498, identical storage capacity). Speakers: Stereo speakers with 2x 1.5 Watts, Keyboard: virtual, 24 Months Warranty, 2-year international Bring-In warranty (Europe, Middle East, Africa) incl. On-Site pick up service in Germany and Austria; capacitive 25.7 cm (10.1-inch) WXGA TFT with high brightness 10-finger touch display incl. LED illumination from the side and IPS. Only 12.78 GB from the storage can be used. 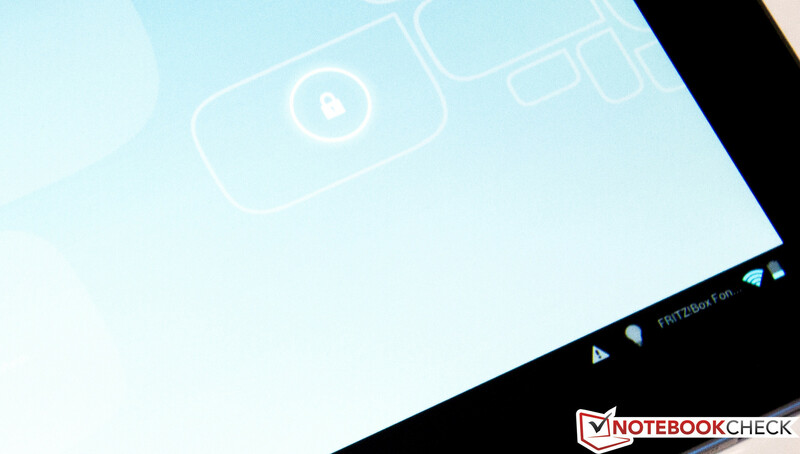 With Android 4.1.1 the tablet is up to date. There is a lot more preinstalled software. and lies comfortably in the hands thanks to the structured surface. and playback of demanding Full HD movies is no problem. although this does not reflect the reality. Pictures also have a blue cast. and lights up the whole environment. but mainly uses the same hardware. and there is no model with integrated UMTS. the device can be charged and connected to a PC. Despite the big box the scope of delivery is very limited. At the bottom are the two speakers with good sound. Both are located as far away from each other as possible. The sound can be enhanced via optional SRS technology. it indicates a speed of 29 mph. successor of the AT300 is a good choice. 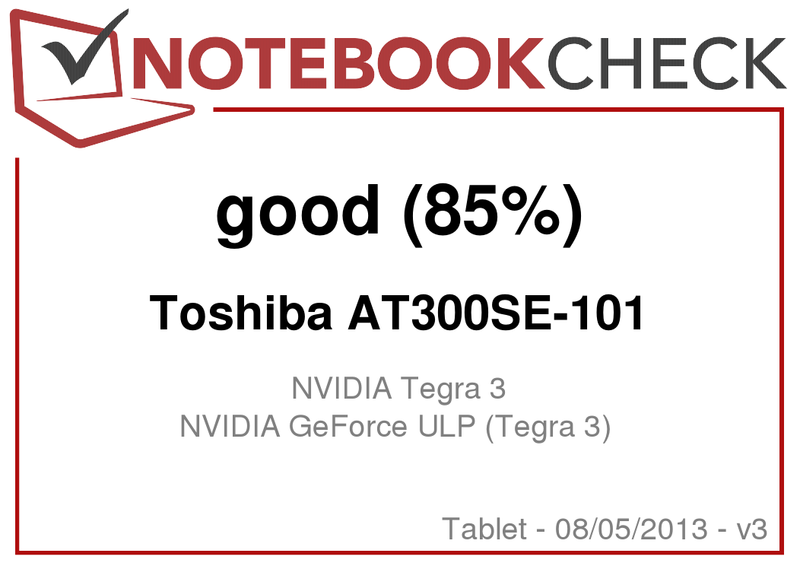 The performance of the Nvidia Tegra 3 is always sufficient and the temperature development of the tablet is very balanced. The main camera with its 3.0 MP is a bit meager as well as the scope of delivery. There would be enough space in the box for more accessories. With such a high maximum display brightness the battery performance is above average.